As you know, my brother was recently inducted into the half century society. Applause! Joyful shouts! Our 73-year-old Mom joined my brother and sister-in-law for a weekend of birthday celebration. True to my Mom’s generous nature, she came with a gift for the birthday boy. Pardon, old codger. Quick aside: my family reads this little blog and placed a very specific phone call to me about the aforementioned gift. In essence, they asked me to blog about the gift. Which I will now return to doing. Provides coiffing for both nose & ear hair. It’s a TITANIUM (space age technology!) 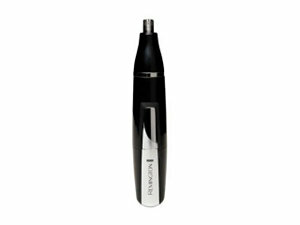 nose hair and ear hair trimmer. How warm! How thoughtful! How about kicking a guy while he’s down? I have not yet decided which is worse for this poor man: turning 50 or receiving tangible proof that hair will now begin growing in great earnest from various orifices. I mean, if it hasn’t already. Oh, and FROM YOUR MOM! Thanks to my Mom and brother who CONFERENCE CALLED me to share this gem. I love my family.